Here you’ll learn everything you need to know about the Harbor. Completing Voyages allows you to get Gold, Eternium, Barrels (used in the Barrel Shop) and even an Eternal Key! Voyages are unlocked at Level 7. The ship you send on the Voyage is autonomous—your hero is not blocked in any way while there’s a Voyage active! However, there can be only one Voyage active at any time. Once completed, rewards for the Voyage need to be claimed! There are 5 voyages on the list. Each requiring a different time to complete. The list is reloaded every 8 hours. When the list reloads, all unfinished or unclaimed Voyages are lost. The only exception is the last remaining voyage on the list—it can be claimed even after the reload. Finishing all Voyages on the list is rewarded with additional Barrels and an Eternal Key. 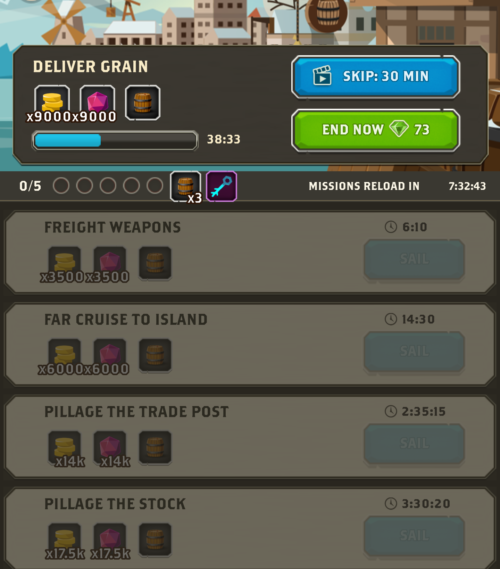 Once you’ve finished all Voyages on the list, you can either wait for them to reload (indicated by the “Missions Reload in” timer), or reload the list immediately by paying Gems. The number of Voyage list reloads is limited. The number of reloads depends on your VIP level. 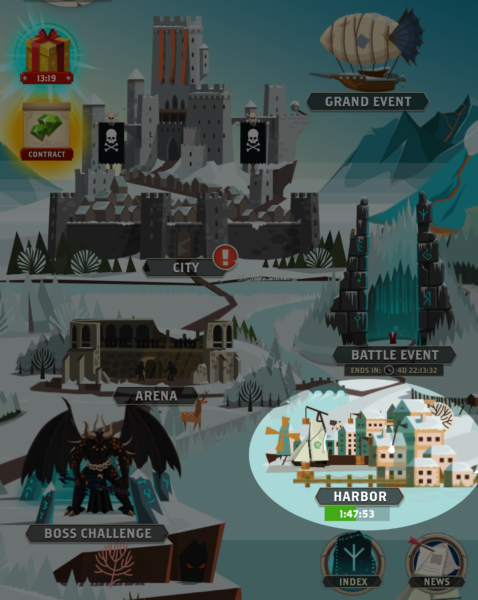 When running short on time, you can immediately end a voyage by paying Gems (cost depends on the time remaining for the Voyage) or watching an Ad to skip 30 minutes of an active Voyage.